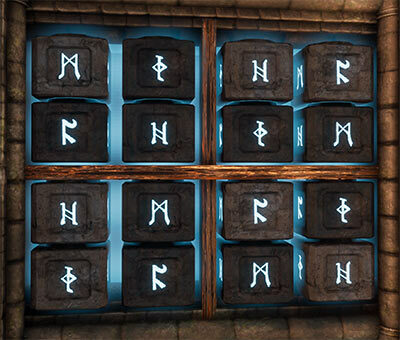 Simple puzzle, just set 4 same runes you see above doors. 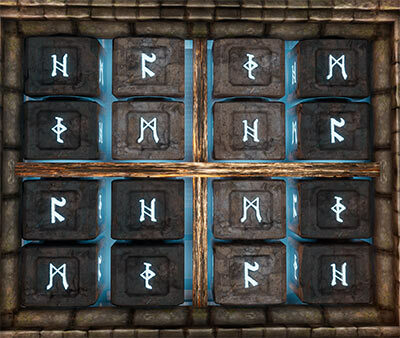 Simple puzzle, just set 4 same runes you see above them on both rune pillars..
First push switch on northern wall to open secret doors on eastern doors and loot chest. Set puzzle on Western Wall to open Western Doors. 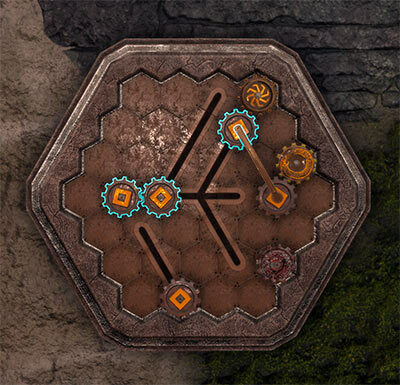 Set puzzle on Southern Wall to open Southern Doors. Push block two times and fast move to (12) hide behind block. 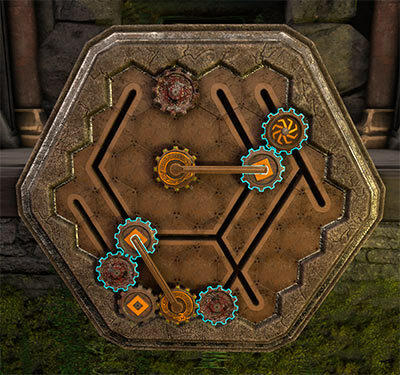 Fix cogs to disable traps and open doors. Stone Heart world "Wisdom" on it, pick it. Cave Key pick it up. Pull Lever 3 times to the right to build the bridge. Use Stone Remembers Song to rebuild bridge. Stone Head world "Wisdom" on it, pick it. Make offering, Stone Hearth to left statue, Stone Heqad to right statue and doors will be open. Pickup items from bookcase, some stones and book. Fill one bottle of each color. You habe to put 3 bottles to offering. Red (C), Bluer (B), Yellow (A) to open doors. Pickup items from bookcases, some stones and book. Recipe Book: Purple Ink picku it up and learn. Recipe Book: Black Ink picku it up and learn. Recipe Book: Orange Ink picku it up and learn. Recipe Book: Green Ink picku it up and learn. Return to (22) and pick simple colors from fountains, then using crafting menu create Black and Purple Inks. Take Red ink also. Place Black, Red and Purple inks in the Offering to open doors. Pick items around the room. 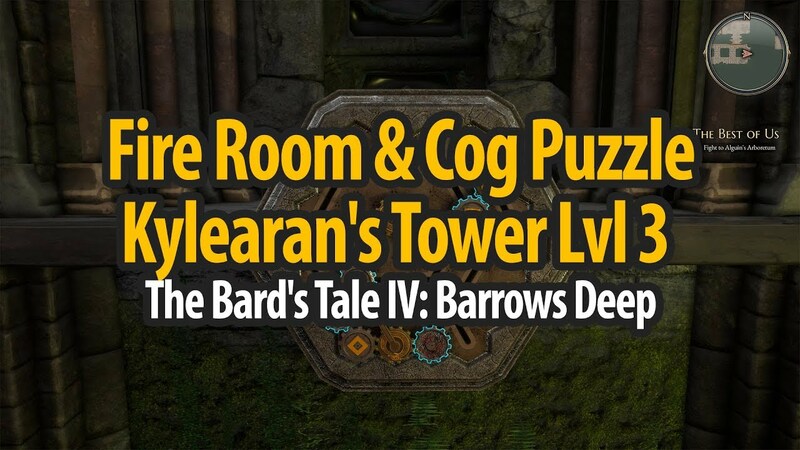 A Snare Of Shadows The lyrics to Snow in Summer suggest that the Spectre Snare, the weapon that once defeated Mangar, is somewhere within his tower. 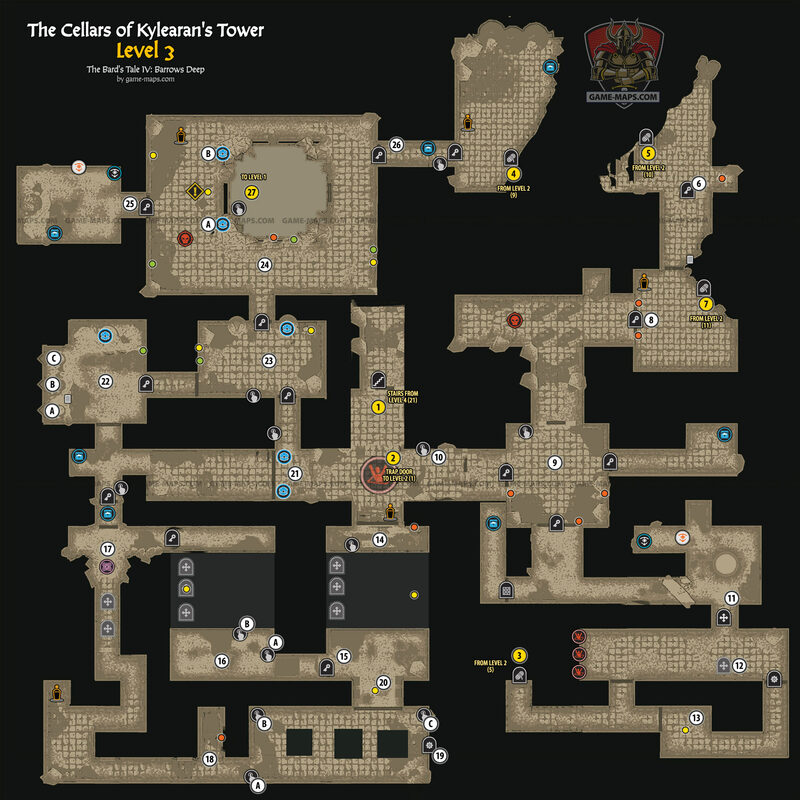 Do you dare seek it out? There are a lot of Receipes in the chest.